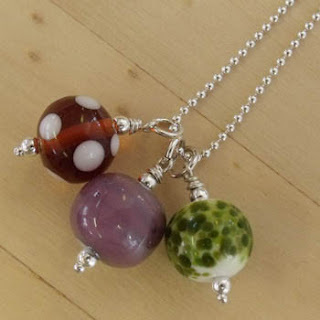 The winner of the November giveaway of my Tuscan colour dot necklace is…. Lena Goldfarb!!! Fall is spectacular. There’s something about the crisp air, the clear sharp light and crunchy leaves that I just love. I love seeing the leaves change and the bright berries emerge in the gardens. Summer is easy, it’s in-your-face gorgeous. I like fall because it requires a bit more notice. And it’s not just about colour, I love the texture of fall, crunchy, spiky, garden things. And as many of you pointed out, it’s also a great time for yummy treats, hot chocolate, spicy ginger cookies and red wine. Delicious!!! Lena too loves crunchy leaves and her favourite thing is woodsmoke. I agree. There’s nothing like the smell of a wood fire on a cool evening.